Provided high quality CPD opportunities internally for teaching staff. Pathways E-ACT Academy is a primary school in Longley in Sheffield, a residential area to the north of the city centre. Previously deemed by Ofsted as requiring improvement, staff have implemented a raft of changes and are working hard to achieve ‘good’ at their next inspection. Measures have included the introduction of a redesigned curriculum and arts provision is integral to the school ethos and values. Interventions focused around boosters had not proved effective so instead the head advocated a model of employing subject specialist staff in key areas to provide CPD opportunities for teachers and build capacity from within. The Resident Artist is one of four specialist-teaching roles at the school along with music, modern foreign languages and PE. Richard firmly believes this approach provides the best possible experiences for pupils, explaining how it avoids pigeonholing by enabling every child to experience a range of arts, cultural education and sports and have the opportunity to excel. Ofsted, following a recent monitoring visit, recognised “specialist staff for modern foreign languages, music and art, are enriching pupils’ daily experiences”, which reinforced this view. The Headteacher highlights how for some pupils school may be the only chance they have to access the arts. The school’s new Art, Craft and Design Curriculum aims, “to engage, inspire and challenge pupils”, not only supporting the development of practical skills in drawing, painting, sculpture and design alongside subject knowledge, but encouraging creativity through the development of ideas, critical thinking skills and an appreciation of art and design concepts in relation to the world around us. An emphasis on cross-curricular links, such as those between art and maths, combined with a high standard of pastoral support provide the basis to promote children’s language and self-expression skills and nurture the confidence they need to explore ideas and experiment. The aim is to inspire teachers with an Artist in Residence through in-depth subject knowledge and passion, along with access to internal CPD opportunities and networks within the arts community. In turn, this approach will support the development of well-rounded pupils who have an appreciation of creativity in all its forms. The Artist in Residence known by pupils and teachers alike as Art John is now in his second year with the school. Employed two days a week he rotates between year groups, usually on a half-termly basis. This enables each class to benefit from his expertise and means class teachers are still heavily involved in the delivery of creative subjects, whilst being able to tap into his expertise regarding aspects of lesson planning and delivery. Art John brings with him a wealth of experience and the in depth subject knowledge to be able to adapt lessons based on what has worked well in the past. Drawing from a bank of resources he plans a range of activities that are simple to execute within the time constraints of single lessons but nevertheless provide visually pleasing results, examples of which are displayed around the school. Art John shares various tips and tricks with teachers, helping save valuable preparation and cleaning time – such as ditching the paint palettes! Working directly with an artist provides the school with links to other artists and the arts sector and broadens pupils’ understanding of professions within the creative industries. Initially Art John delivered art lessons with the support of an allocated Teaching Assistant, providing extra capacity that enabled teachers with additional responsibilities to undertake their duties. He has since noticed a shift in focus whereby increasingly teachers are attending the art lessons as CPD. This allows teachers to see in context how he approaches the curriculum, including different techniques and the language he uses to explain tasks. Year 4s for example have been working on a Landscapes project, which covered drawing techniques such as perspective, texture and control of a pencil and culminated in a visit to Yorkshire Sculpture Park. With Art John leading the lesson, class teachers are able to step back and observe the pupils in a different light; often witnessing them excel or adopt a different approach to tackling tasks than in other subjects. Art John describes his approach, “There are two types of art – the kind that is fun and decorative and the kind that has a purpose and I try to merge the two”. He explains how he sees art as a tool to develop well-being and creative problem-solving skills so when a child learns to repair a picture, for example a wonky line on a page, they learn how refining their work is a process and it is not until a piece is finished that it becomes an object of beauty. His focus is on skills development and working with the same group over a half term allows him to see progression. He uses the analogy of sport, which requires regular practice in order to develop and maintain skills. Art techniques need regular practice over time in the same way. Each lesson starts with a brief demonstration and explanation, for example on use of scissors or how to hold a ruler and these regular recaps mean children are able to recall guidance and hone skills, rather than being expected to retain skills learnt in previous years. Lesson planning is an organic process rather than ideas driven. Art John has the autonomy to adapt the content and pace of sessions in response to the ability levels of pupils as well as their interests. Art John highlights how in recent years the internet has increased access to non-traditional, experimental art forms and creative demonstrations, which get children excited but can be challenging to replicate. He feels having an online presence as an artist outside of school and referring to related disciplines such as architecture helps the pupils make connections and understand the practical application of art in the real world. 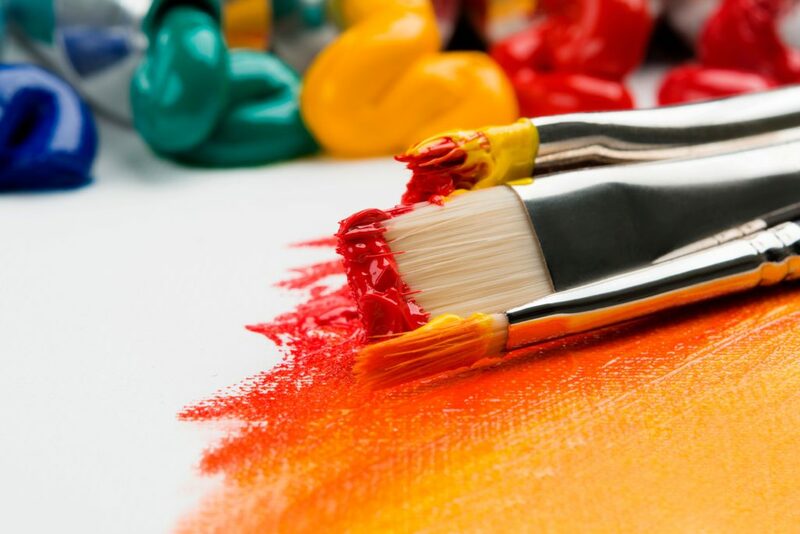 Art lessons help pupils gain an understanding of how artists look for shape, pattern, colour and tone and provide the opportunity to embed technical skills; however, he is not trying to produce a class full of artists. His objective is to get children excited so creative thinking becomes part of their life and they approach experiences with an open mind and sense of fun and adventure. “If a pupil achieves in art it scaffolds the rest of their week.” Art John aims to build resilience and a growth mindset through the development of transferable skills. His hope is that encouraging a pupil to correct a wonky line and gradually refine their work, could lead to them for example, revisiting an exam question. While the impact of this may not be apparent until later, a more immediate example of inspiring the children is when they bring in artwork they have created at home, using techniques learnt in class. In addition to delivering art lessons and CPD, the Artist in Residence supports the school’s learning environment through creating displays and larger scale artwork, including a visual representation of the school’s values in word art. Practical support also includes assistance with ordering art materials. Staff agree key benefits of this model have included the art specialist sharing in-depth knowledge and passion for the subject as well as generating further links to the arts sector. 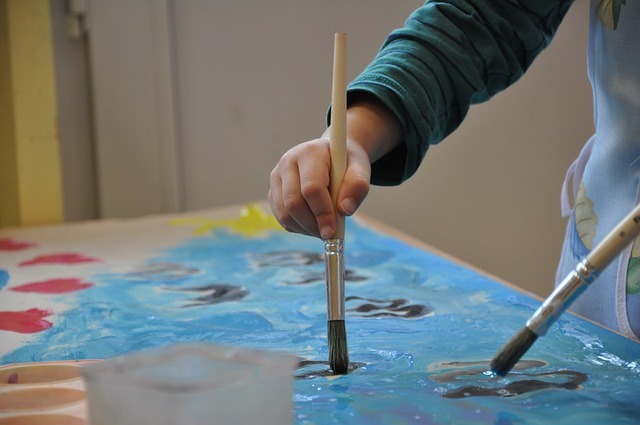 From the Head teacher’s point of view, not only is employing an Artist in Residence cost-effective but it has helped with recruitment and capacity-building, ensuring all pupils have an opportunity to experience high quality arts provision. In terms of advice for other schools who might be considering implementing this approach, the head recommends a visible recruitment process which communicates a clear vision and would caution against compromising on calibre but rather hold out for the right candidate. He highlights the importance of a good integration process with other staff so the art specialist feels part of the team, particularly where the role is part-time, whilst being mindful not to dampening the artist’s creativity. Mechanisms for sharing what works well facilitate two-way collaboration and consistency in applying safeguarding and behaviour policies and the school reward system. He also advises making sure the curriculum is, “intriguing and exciting”. Based on their experience, identifying a dedicated space is also helpful as resources are to hand and children walking in the room feel excited. Having established the Artist in Residence role within school, Pathways E-ACT Academy now intend to build on their success to date. A key next step will be the conversion of a meeting room within the building into a gallery space. The intention is to provide a platform to display pupils’ work and facilitate engagement with local artists as well as build relationships with the local community. Parental involvement is an ongoing challenge and a gallery will provide a valuable opportunity to engage with parents. Further initiatives include a scheme to develop top Year 6 artists as art leaders and using art to facilitate transitions work with the local secondary school.